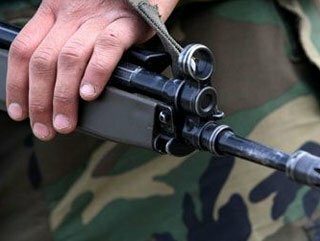 Azerbaijani army serviceman Samit Israfilov was wounded as a result of ceasefire violation by Armenian Armed Forces on the Armenian-Azerbaijani (Nakhchivan Autonomous Republic) border on Aug. 12, the Azerbaijani Defense Ministry said in a message on Aug. 13. The soldier has immediately been provided with medical care, there is no threat to his life. Armenia is purposefully continuing to tense the situation in the Nakhchivan direction, said the ministry's message. The responsibility for what is happening on the Azerbaijani-Armenian border lies entirely with the military-political leadership of Armenia, the ministry said.